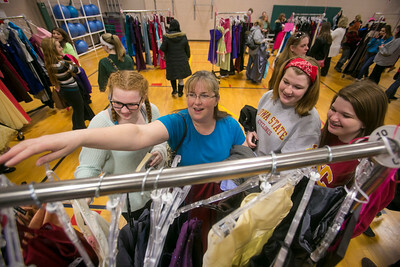 Denise Smith, My Sister's Dress Committee Member, of Crystal Lake, bags a purchase at My Sister's Dress at Sage YMCA in Crystal Lake on Saturday, March 7, 2015. 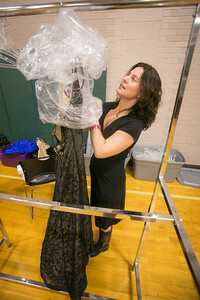 My Sister's Dress Is a fundraiser for Big Brothers Big Sisters of McHenry County. 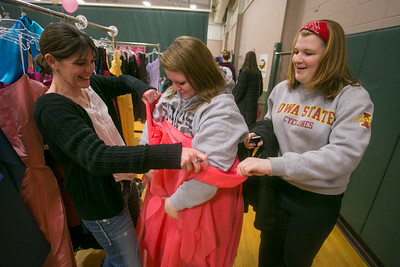 Gently used dresses were donated and sold for girls going to prom. 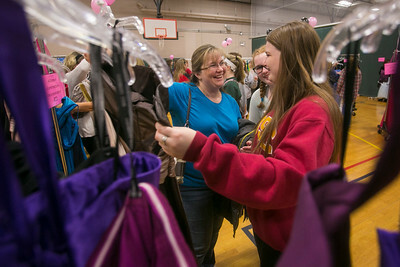 Girls can get a dress for $25 or jewelry, purses and other accessories for $5, saving quite a bit on the total cost. 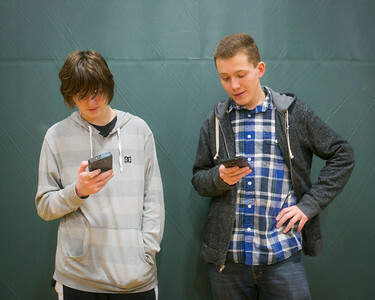 The money raised – typically about $3,500 each year – is gifted to Big Brothers Big Sisters of McHenry County, said Lake in the Hills resident Emily Smith, co-founder and chairwoman for the event.